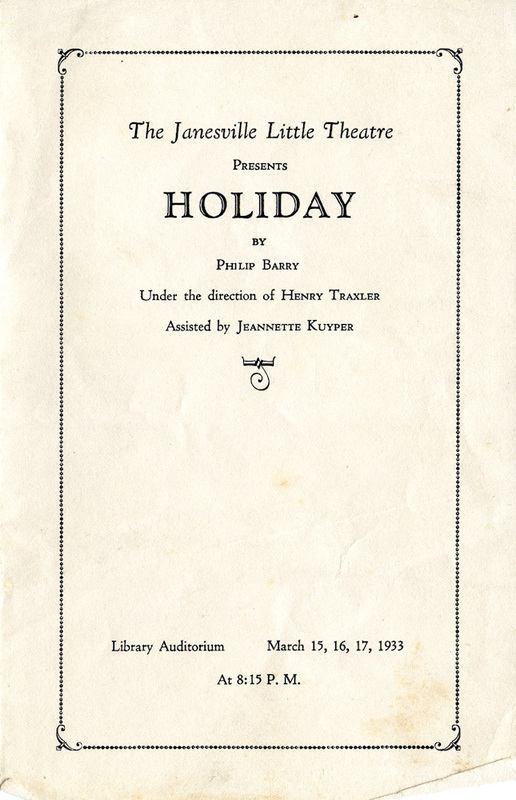 Holiday is a 1928 play that inspired the 1938 movie staring Katharine Hepburn and Cary Grant about a corporate lawyer on Wall Street in the roaring 20s. Holiday marked the directorial debut of City Manager Henry Traxler. Mr. and Mrs. Traxler were early supporters of Janesville Little Theatre. Mr. Traxler spearheaded the creation of the Library Auditorium and went on to direct several plays. Mrs. Traxler served several terms of our Board of Directors.